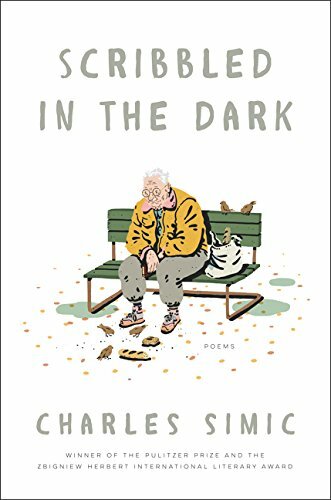 Winner of the Pulitzer Prize, the Wallace Stevens Award, and many other honors, Charles Simic was chosen poet laureate of the United States in 2007. Given these achievements, his latest collection of poetry does not disappoint. Simic is known for the tight and often ironic compression of his lyric poems. But make no mistake: these poems, however brief, are pitilessly incisive. The skilled poet has ways of opening things up to observation, to considerations that are not necessarily labeled or codified for the purpose of capture or transmission, but accessible enough to be grasped, to be reconfigured and preserved in the human imagination. A layer of shadow often underlies this kind of imaginative work, and in Scribbled in the Dark, Simic’s shadows are hiding in plain sight. Over the ensuing decades, Simic has effectively and insightfully translated our American realities back to us through poems in which “Hell’s night nurse/” is found “Bending over a cradle./” (“Uninvited Guest”). As grim as his vision sometimes is, Simic believes in the human condition—believes it to be, if not redeemable, at least somehow salvageable. In “The Week,” for example, Sunday rolls around “. . . with a head of crucified Christ/Hanging sideways in your mirror/,” redemption on a slant, perhaps, but no less redemptive for all that. He is about the business of fashioning poetry into a kind of dark salvation, leached from the shadows of postwar Yugoslavia, from Chicago in the 1950s, from the transitional, semi-virtual universe of today. These poems, taken together, represent a special kind of enlightenment. No single collection comprises the entire picture of a poet’s intent, but each serves instead as a series of images suggesting and eventually making up the whole. This is especially true of Simic, whose singular compression seems to gather a collective momentum from book to book. His signature brevity, however, seldom gives way to terseness. More often, transparency lapses, converts into a kind of tissue-paper fog through which Simic obscures the world he views—our world—the better to see it as it is. His humor is the humor of a presumed hearse, “. . . stopping at each/Mailbox as if in search of a name,/” (“In Wonder”). In these poems, the lost wander through the snow with no hope of ever being found, and old warriors haunt graveyards in the lingering dark. The homeless shiver in winter door fronts, while confused residents pace the city’s neighborhoods, and lonely householders light solitary candles against a ragged infinity. In these pages, a lonely woman takes a walk around the block and never comes home, children go missing in the vicinity of dark ponds and are never found, and always, there are “. . . the faces of strangers,/Glimpsed once and never again./” (“Swept Away”). Isolate and alienating though these images may be, there is rarely any melancholy associated with them. There is, perhaps more effectively, a large dose of quiet. In the book’s title poem, “Scribbled in the Dark,” for example, there is “A shout in the street./Someone locking horns with his demon./Then, calm returning./” No sooner is the sound heard, than silence (“calm”) immediately closes in to obliterate it, silence in its eternal collaboration with the dark, reclaiming the so-called human moment from its small corner of infinity and returning it to an uneasy stasis. Simic is the quintessential observer. He watches the moonlit icon of the Virgin in a Greek Orthodox church, ponders uncertain winds in dark leaves, and muses on plates of oysters at sidewalk cafes. These carefully composed poems will endure as part of a larger package of the remembered verse of our times.